Please help us celebrate island heritage and the work of photographers of all ages at the 2014 Heritage Photo Exhibition. The gala opening of the Exhibition will be held at 7pm on Saturday, December 6th at Lagoonies Bistro and Bar at Lagoon Marina in Cole Bay. This event is free and open to the public, and will include large-format displays, voting for the People’s Choice Award, and an official prize ceremony at 9pm. The winning works and other entries will be on display throughout the following week. The panel of judges faced many difficult decisions when selecting the winners of the 2014 Heritage Photo Contest. With over 75 entries, the competition was fierce, and the works submitted beautifully captured many diverse aspects of the island’s heritage. The theme of this year’s contest, “Vibrant and Vulnerable”, followed an unusual format and was chosen to raise awareness about the island’s unique natural, cultural and historic heritage, as well as the threats facing this heritage and the need to preserve it. Each entry included two photos–one representing a “Vibrant” aspect of the island and one representing a “Vulnerable” aspect–and the artist’s statement about the photo selections. This format was very open to creative interpretation, and the entries that poured in touch on many different facets of local heritage, from plants, animals and landscape, to history, architecture and culture. One remaining prize, the $100 People’s Choice Award, will be decided by those who attend the opening of the exhibition. “We’re thrilled to invite everyone to take the opportunity to enjoy the stunning, thought-provoking photos at this exhibition,” says Les Fruits de Mer President Jenn Yerkes, “And, of course, to vote for their favorite!” Voting will be done by ballot between 7pm and 9pm. 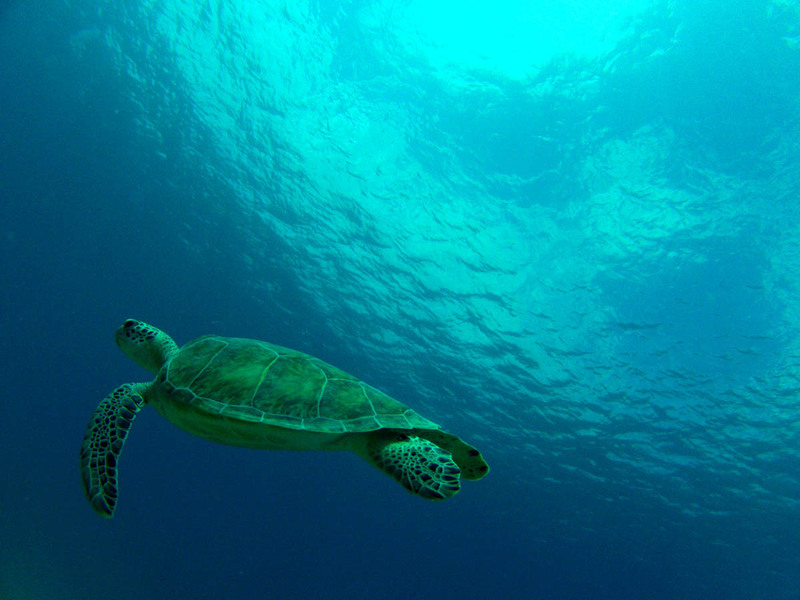 A green turtle takes center stage in the “Vibrant” photo from Alexandre Guerre’s winning entry. Photo by Alexandre Guerre. 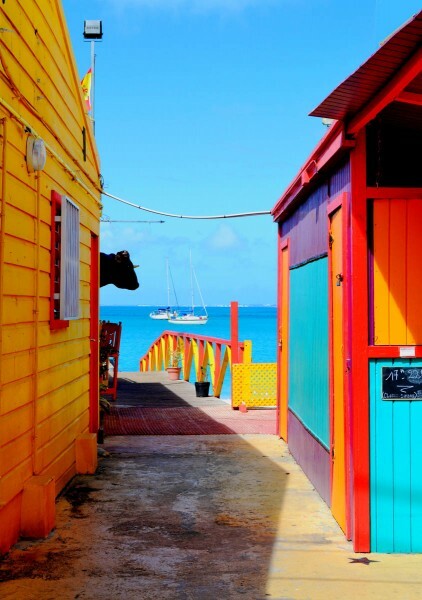 The “Vulnerable” photo from Alexandre Guerre’s winning entry captures the bright colors of the island’s traditional architecture. Photo by Alexandre Guerre. 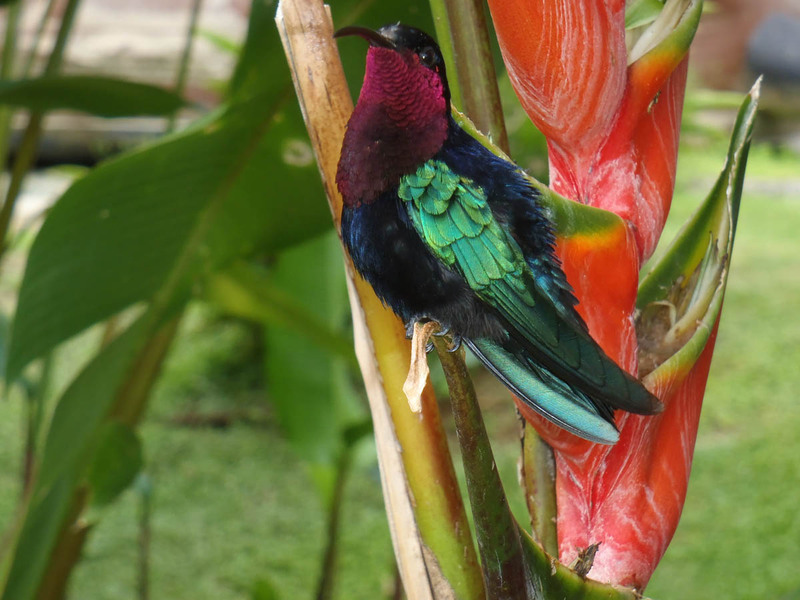 Young photographer Luna Valenti showcased this hummingbird as a “Vibrant” part of St. Martin’s heritage. Photo by Luna Valenti. 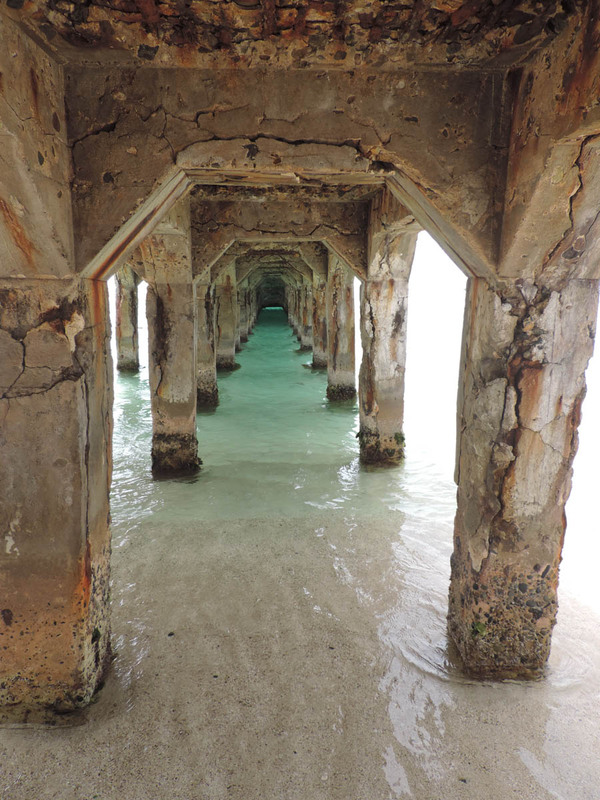 Luna Valenti’s “Vulnerable” photo spotlights the time-weathered pier in Grand Case. Photo by Luna Valenti.